This device especially is designed for absolutely professional use only. Smallsized, lightweight but sturdy aluminium housings distinguish every part of this system. The risks of interception and detection during critical observation tasks are reduced to a minimum. Depending on the surveillance situation the internal or external microphone can be activated. 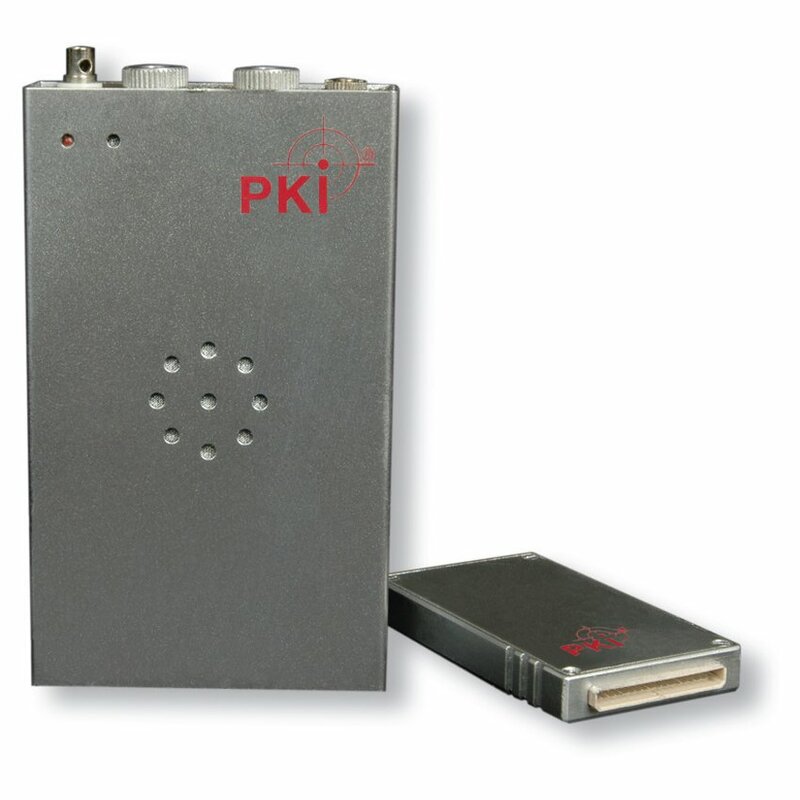 By this the PKI 2700 ideally can be used for room as well as body worn operations. The transmission signal is created and scrambled in a digital pseudorandom code so that a highly secured transmission is guaranteed, so that the device provides a most secure and protected listening technique being hardly detectable.